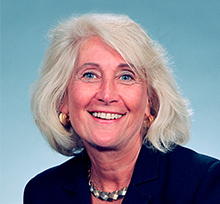 Marilyn Stempler was the Chair of the Employment Counseling Practice Group, and also litigated major employment and other complex business cases. Marilyn represented many of the Firm’s major clients in everyday employment matters such as general counseling regarding hiring, retaining and firing employees; protecting intellectual property and other confidential information; and complying with the various federal statutes and regulations such as FMLA, ADA, ADEA, Title VII, COBRA, WARN, FLSA, PPA and USERRA, and the state counterparts. Marilyn litigated a wide variety of employment cases involving the enforcement of non-competition and non-solicitation agreements; the wrongful use of trade secrets and intellectual property; the defense of claims of discrimination based on race, age, sexual harassment and handicap; and the defense of claims of wrongful discharge. Additionally, Marilyn holds a degree from the Rhode Island School of Design, and was responsible for overseeing the design and branding efforts of Brown Rudnick.